Study Junior Bookkeeping Course distance learning if you want to start your career in bookkeeping or accounting, but need to keep working while you study. TWP Academy will help you succeed with our fully accredited home study courses. Why should I study Junior Bookkeeping Course Distance Learning? Firstly, bookkeeping and accounting are highly respected, well paid careers which are in high demand in the workplace. Secondly, if you start with a junior bookkeeping course distance learning, this can lead you to a solid career in as a qualified accountant as you further your studies. And thirdly, if you study junior bookkeeping course distance learning you can keep working while you study. That means you will be earning money to help pay your course fees, and you will be gaining valuable work experience to add to your CV when you start looking for your first junior bookkeeping position. Conclusion of yearly IRP 5, IRP 6 and IT 3a files, EMP501 and VAT201 return using both manual the manual submission system and E-filing. How will ICB Junior Bookkeeper course be structured? Evaluation is based on the submission of a Portfolio of Proof (PoE) which will consist of 3 developmental activities, 2 formative examinations and one summative assessment. PoE assessment comprises formative/ interim evaluation of activities (projects) and assessments (tests) that count 30% towards the total mark. A Summative Evaluation (last examination) adds to the staying 70% of your marks. The PoE is essentially a file including all the evidence essential for a learner to be declared skilled versus the appropriate outcomes. This course will take you one year to 18 months, depending on how fast you study. We will support you to study consistently, as that is the best way to ensure that you get qualified. You will be granted with a National Certificate in Bookkeeping (Junior Bookkeeping) from FASSET. You will also be granted with a Programme Completion Certificate from the ICB, and from TWP Academy. You can begin right now! Call us on our toll free number and we will get you registering and studying within a week! Our number is: 0800 39 00 27. 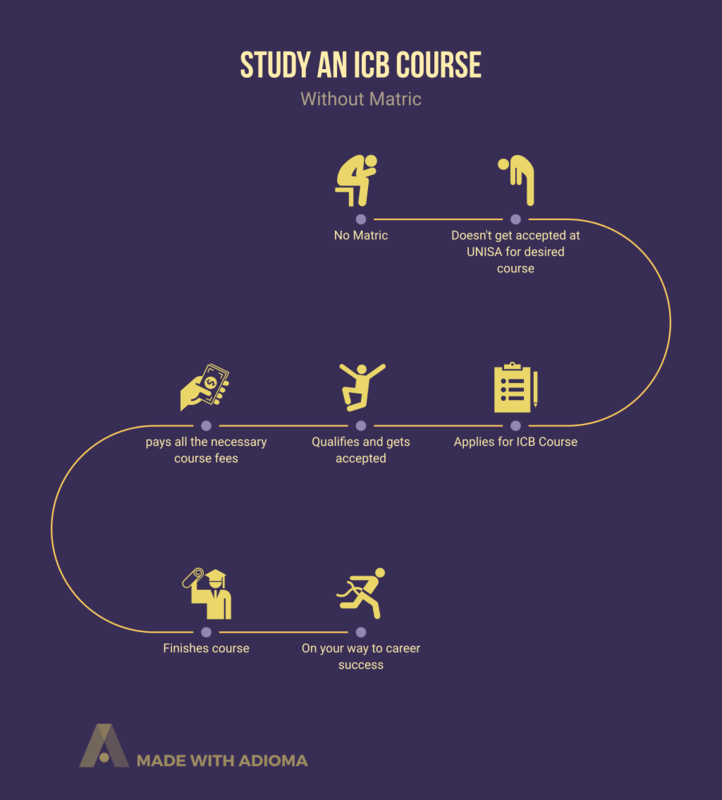 Can I study ICB Bookkeeping if I don’t have a Matric Certificate? All the ICB courses begin at NQF level 3. And they increase to NQF level 6. In contrast, matric is at NQF level 4. So these courses are offered for student who do not have matric. Trainees begin at a level below matric. Keep studying the program, and course by course you will rise the NQF level 6, which is two levels higher than matric. The ICB has developed their courses to help students who did not total school, and who has to work and study at the same time. So you begin with the simple principles and work, and construct on that foundation, till you are ultimately an expert! As a home study student you can study an hour after work, three or 4 times each week. With 5 examination opportunities in 2017, you know that as soon as you are ready, you can sign up for the next exam. In South Africa bookkeeping and accounting are scarce skills. That implies that both industry and government recognise that we have a scarcity of accountants and accountants. The federal government body for qualifications in the financial sector, FASSET, has done a study on scarce skills in 2015. From that study they released their Scarce Skills Guide 2015. These are all positions for which an ICB accounting course will prepare you properly. Your accounting certification will guarantee that you are constantly in demand. It is a fantastic career that can take you to the highest level in an organisation. The scarcity of accounting abilities likewise affects government departments. All federal government departments have accounting and accounting departments. And they work every year to obtain a successful audit. To get a clean audit suggests that they require trained, qualified, dedicated and knowledgeable bookkeeping and accounting personnel and managers. As a certified accountant or accountant, you will continuously remain in demand. Either in private service, or in a government department, which can include both towns, along with bigger nationwide federal government departments. If you want a career in bookkeeping or accounting join TWP Academy to learn all the knowledge and skills you need for a really solid start to your career.